Saturday April 2, 3:00 p.m.
Oscar Wilde’s fiction and criticism are laced with poison, both as theme and motif, both “real” and vicarious. Before his incarceration for criminal wrongdoing, Wilde provocatively pondered the compatibility of such a crime as poisoning with culture, and the desirability of sinfulness in the self-realization of the artist. His account of Thomas Griffiths Wainewright, the early nineteenth-century forger, painter, and poisoner, is Wilde’s most concise declaration of not just the congruity of crime with culture but also the conceivably beneficial influence of crime upon art, and art upon life. 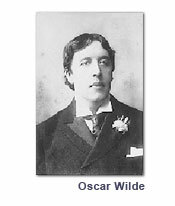 Yet for Wilde, literature embodying such beliefs as he attributes to Wainewright may itself be a poisonous (and in the case of Wilde’s character Dorian Gray, fatally poisonous) influence on the reader. Robert Hichens, author of The Green Carnation, a novel that Frank Harris believed poisoned Wilde’s reputation in the mind of the general public, later published Bella Donna and other romantic neo-Aesthetic novels that indeed seem to have proved lethal in the celebrated case of the alleged would-be poisoner, Edith Thompson, hanged with her young lover for the murder of her husband. Thompson was an avid reader, a woman in constant imaginative traffic with popular romance novels of the day (which she passed on to her lover), including the works of Hichens, Wilde’s erstwhile disciple and recorder. Thompson lived and died at a fatal intersection of poison and romance, culture and crime, giving a curious retrospective currency to Wilde’s pre-prison writings. John Wilson Foster was born in Belfast, Northern Ireland and educated at Queen’s University. His doctorate is from the University of Oregon. He spent his career at the University of British Columbia, Vancouver. After early retirement in 2002 he was Leverhulme Visiting Professor to the United Kingdom and Armstrong Visiting Professor at the University of Toronto. He is currently Honorary Research Fellow, Queen’s University, Belfast. He has published books on Irish literature, culture, and natural history, and on RMS Titanic. His latest books are Irish Novels 1890-1940 (Oxford University Press, 2008) and Between Shadows: Modern Irish Writing and Culture (Irish Academic Press, 2009). He is a Fellow of the Royal Society of Canada. Registration form available at the Center for 17th- and 18th-century Studies’ website. This entry was posted on March 8, 2011 at 4:01 pm and is filed under events. You can follow any responses to this entry through the RSS 2.0 feed. You can leave a response, or trackback from your own site.